Take I-93 North through Franconia Notch to Exit 35, onto Route 3 North. Travel Route 3 North for about twelve miles and through the Twin Mountain traffic lights until you see Route 115 on the right. Turn right onto Route 115 North and drive about ten miles until you come to the stop sign at the junction of Route 2. Turn left onto Route 2 West and drive about four miles to Santa’s Village. Take Route 16 North through Pinkham Notch into Gorham, NH. Turn left at the stop sign to remain on Route 16 North and drive through town to the traffic lights in Gorham. At the traffic lights turn left onto Route 2 West and drive for about twenty miles to Santa’s Village. Take the Maine Turnpike (Route 95) to Gray, Maine, then take Route 26 to Bethel, Maine. In Bethel, turn on to Route 2 West and drive for about fifty-minutes to Santa’s Village. Take Route 10 East to Route 55 South to I-91 South to Exit 21. 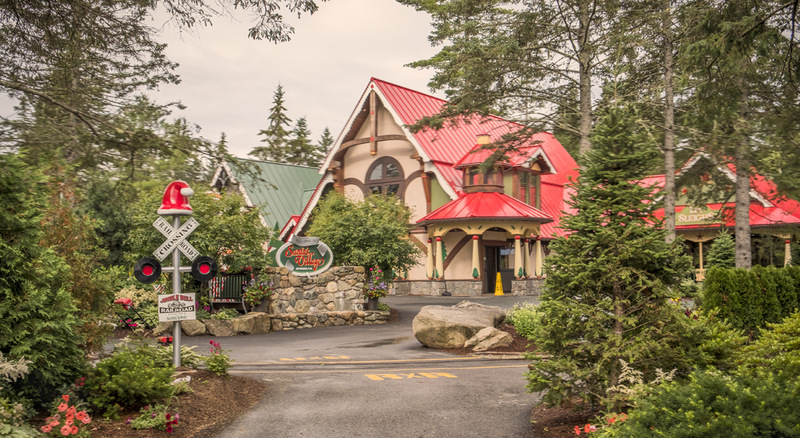 Take Route 2 East and drive for about fifty-five minutes to Santa’s Village. Take I-91 North to Exit 19 onto I-93 South. Take the first exit off of I-93 South, turn left at the end of the exit ramp, and drive about a half-mile to the intersection with Route 2. Turn right onto Route 2 East and drive about thirty minutes to Santa’s Village. Take I-89 South to Montpelier Exit 8. Take Route 2 East and drive for about seventy-three miles to Santa’s Village.